“Incompetent” police, regrets over his own investigation, promises to protect Sun journalists: a secret recording reveals Rupert Murdoch’s real attitudes to the scandal that has engulfed his empire. In public, the man at the helm of News Corporation has been brought to his knees. He told MPs that giving evidence to a Commons select committee was “the most humble day of his life” and was equally self-effacing in front of the Leveson inquiry into press ethics. In private, Channel 4 News can reveal a very different side to Mr Murdoch. A recording from March earlier this year, obtained by investigative website Exaro, shows the 82-year-old as we’ve never seen him before – raging against the police and claiming that the inquiry into corrupt payments to public officials has been blown out of proportion. “I mean, it’s a disgrace. Here we are, two years later, and the cops are totally incompetent,” he says. The head of a $30bn media empire was speaking to a room full of Sun newspaper journalists – specifically, Channel 4 News understands, those who had been arrested over claims they had paid public officials, including police officers, for information. Not surprisingly, perhaps, some of them decided to secretly record the encounter. He continues: “And now they’re arresting their own, who never even took money… They’re going to put all newspapers out of business”. 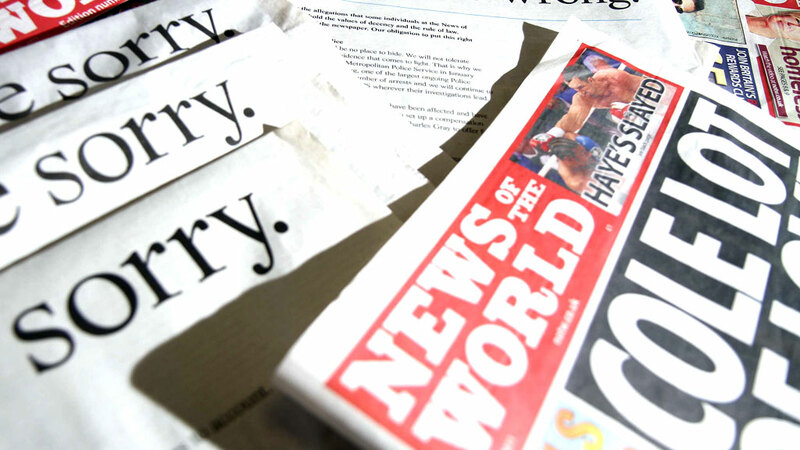 The News of the World, which was at one time the jewel in his newspaper crown, was closed down in July 2011 amid public backlash over allegations of phone-hacking. 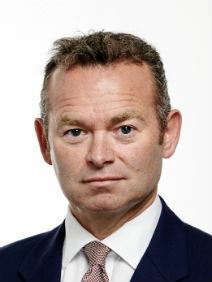 Throughout the recording, which lasts about 45 minutes, the News Corp boss repeatedly accuses the police of incompetence – of being “unbelievably slow” he says at one point. At another point, he said of the police that he didn’t really trust anything they said. But if he is contemptuous of the police, he also shows remarkable disdain for the offence they’re investigating. He belittles the corrupt payments issue. And for anyone convicted over it – the message is: he’ll be there for them. “I will do everything in my power to give you total support, even if you’re convicted and get six months or whatever,” he says. At one point on the tape, the Sun’s agony aunt Deidre Sanders read extracts of a letter on behalf of a relative of a Sun journalist. The emotional letter describes how journalists and their families feel “betrayed”, “abandoned” and “isolated”. Mr Murdoch gives a revealing glimpse into who might lead the company in his absence, after a journalist asks what would happen should the 82 year-old not be around to give them his support. “The decision would be – well, it will either be with my son, Lachlan, or with Robert Thomson. And you don’t have any worries about either of them,” he tells the meeting. He is referring to Lachlan Murdoch or Robert Thomson, Murdoch’s chief executive at News Corp – front-runners now, it seems, in the great Murdoch succession debate. Conspicuous by its absence is any reference to James Murdoch who was for so long the heir apparent, but now weakened over hacking. A beleaguered Mr Murdoch had been into the Sun offices a year earlier pledging total commitment to his journalists. This time around, he was echoing their disgust at the manner of the police arrests in the Operation Elveden inquiry into corrupt payments to officials. One of the clips starts, Channel 4 News understands, with the sound of Murdoch slapping the table. “What they’re doing, what they did to you, and how they treated people at [******], saying ‘a couple of you come in for a cup of tea at four in the afternoon”,” he says. “It would be nice to hit back when we can”, one journalist suggests later in the meeting. “We will”, replies Mr Murdoch. “We will”. Then, tellingly, he singles out the police treatment of Rebekah Brooks, former News of the World editor and News International executive – and Mr Murdoch’s erstwhile protégé – who is now facing multiple charges over the hacking scandal. For all Murdoch’s protestations about victimisation, the reality is that his establishment of an internal management and standards committee (MSC) appeared – to many of of Murdoch’s journalists – to give the police inquiries such momentum. The committee was tasked to help the police retrieve evidence – and was seen by some as having gone too far, desperate to find scapegoats. Now Mr Murdoch himself appears to regret the level of cooperation. One of the journalists at the meeting appears to question the extent of documents handed over to the police. So has Mr Murdoch, importantly, withdrawn his company’s full cooperation with the police? The MSC has not given the police any information for months, he boasts. A spokesperson for News Corp told Channel 4 News: “No other company has done as much to identify what went wrong, compensate the victims, and ensure the same mistakes do not happen again.